Only seven or eight people show up for this life drawing group. Working from the figure is not for the faint-hearted. Let’s just say it, it’s hard work. I came back today after taking the summer off and faced considerable discouragement. In three hours I produced one drawing I want to look at. It’s a beginning. Good to be back. 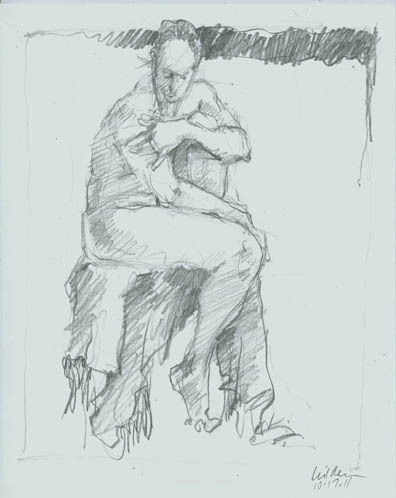 I have compiled a directory of over 800 figure drawing venues in the U.S. and Canada. Please let me know if your group is not already included, and I will be happy to add it.